- Duration: aprox. 4 hours. - Limited Availability / groups up to 30 people. Consult our days with special prices! Granada joined the crown of Castile in the late 14th century, and this fact marked the evolution of its History, leading it to an inevitable transformation, from the Islamic order that ruled the city, into a new form of political organization, the modern state established by Catholic Monarchs. The early years of the 14th century are key in transforming the city, which undergoes a series of urban experiences producing deep changes in its physiognomy: the Islamic features of houses and institutions, such as mullioned windows, narrow streets or mosques are eliminated. Streets are widened, the city Council is established, such as the General Captaincy, the Royal Chancillería, and numerous churches are built, scattered throughout the territory of the city, there where there was a mosque in the past. 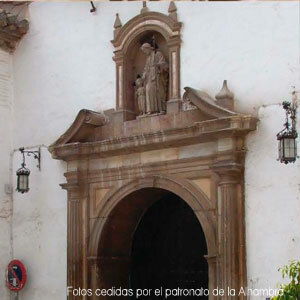 The architectural, urban and even civil order were modified after the intervention of the Catholic Monarchs. The new life of this Christian medieval city also came to the palatial city of the Alhambra in Granada, where many reforms were made in the original structure, to adapt their rooms to the needs of a Christian Court. * Space closed to the public visit due to conservation matters. 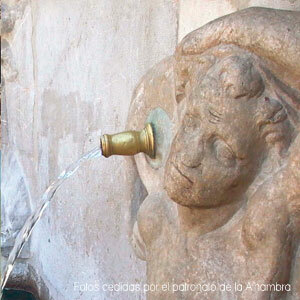 Sometimes, by order of the Patronate of the Alhambra of Granada, the order of the visits could be modified. If any of the places indicated on the itinerary, could not be visited, it will be changed without reducing the duration of the visit. Duration 4 hours aprox. (From 9.30 to 14.00hours). Availability Limited. Groups up to 30 people. - Local guide expert in architectural interpretation and heritage. - Tickets and access to every place detailed in the itinerary. It is advisable to wear comfortable footwear and drink enough water during the visit, due to the characteristics of duration and length of tour. Your reservation is confirmed automatically at the end of the purchase process, thanks to our encryption payment system. It is possible to pay by credit card (VISA and MasterCard) or bank transfer. We will send you an email confirming the purchase, along with the voucher of your visit. You should print this voucher and give it to the tour guide at the beginning of the tour. The voucher is the only valid proof of purchase and any other supporting documents WON’T be accepted. If you need to change or cancel your reservation, please contact us with the customer service form. We recommend you to be in our meeting point 10 minutes before departure of the tour. This visit makes a very special tour, focusing on special and specific aspects. The Alhambra tickets, therefore, do NOT include full access to the Nasrid Palaces, the Alcazaba or the Generalife, but instead includes areas normally closed to the public in the monumental complex and other selected places in the city of Granada. Please provide us with the details of only one of the people who will make use of the service. 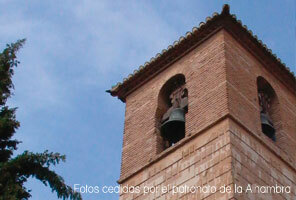 Guided Alhambra tours are garanteed in english, spanish and french (for other languages please consult availability). There must be a minimum of 10 people for optional languages (japanese, russian, etc. ).